Cox Farms Fall Festival (Centreville, VA): In addition to pumpkin picking, Cox Farms has slides, their “Cornundrum” maze, a market, farm animals, music, and more. Come back for Pumpkin Madness Weekend November 2nd-3rd and they will “recycle” your pumpkin. Older kids might enjoy their evening Fields of Fear which includes the Corn Nightmare, Zombie Zoo, hayrides, and a bonfire. Pair a visit to Cox Farms with a trip to the Winery at Bull Run which is open daily until 7p with extended hours on Thursday (8p) and Friday (9p). The Festival runs through November 5th. 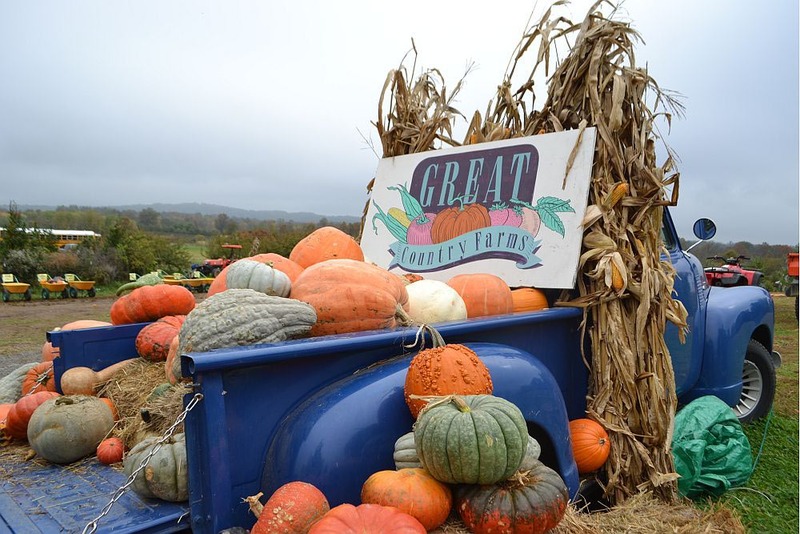 Great Country Farms Fall Harvest Festival (Bluemont, VA): Now through the end of October, visit their pumpkin patch, get lost in their corn maze, watch pig races, play putt putt, or run around their 5 acre play area. They even have pink “porcelain doll” pumpkins for sale with proceeds going to breast cancer research. Score discounted tickets to the Festival here. Bluemont Vineyard is just across the road and is currently offering free tastings of three of their wines. The vineyard offers a great aerial view of the surrounding area so it’s especially pretty this time of year. The Pumpkin Patch at Gallmeyer Farms (Richmond, VA): Besides pumpkin picking, there are hayrides, spooky house tours, straw bale maze, play area, a market, and live music. You pay for the pumpkins, but the activities are free. The Pumpkin Patch is open until the end of this month. A twenty-minute drive will lead you to James River Cellars which offers a cozy tasting room, a front porch for sipping, and room for running outdoors.